TMZ reported Saturday that Timberlake was set to use a hologram of Prince during his halftime know performance. But Sheila E. said in an interview The Associated Press that a hologram won't appear. Sheila E. said Justin Timberlake reached out to her after she tweeted that Prince didn't want to be turned into a hologram and said she has been assured there will be no hologram of the late superstar at Sunday's Super Bowl. "Prince had told me ... don't let anybody do a hologram of him for religious reasons, so I just posted that if this happened it's kind of messed up and not cool," the Grammy-nominated performer said Sunday. "And then Justin's people reached out to my manager and wanted to talk to me about it and we had a great conversation," she added. "And I felt that it was OK to respond and let the fans know he said great things about Prince and the fans and how important they are. So it was a good conversation." 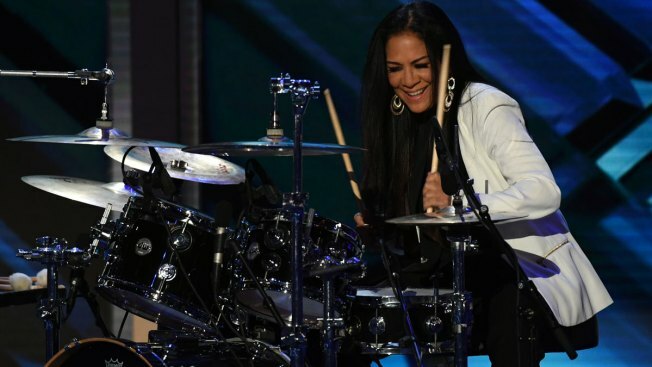 Sheila E. made the comments ahead of her tailgate performance at Nomadic Live at The Armory in Minnesota. Timberlake said he looked up to Prince and admired him during a press conference days ago in Minnesota. It was the same day the pop star held a listening party for his new album at Paisley Park. Hologram of A-list celebrities have appeared in recent years, from Tupac Shakur to Roy Orbison, whose hologram is set to go on a tour. In an AP interview Saturday, Sting said he would not want to have his likeness portrayed in a hologram. "I don't want to be hologrammed. I really don't. God knows who they will team me up with, you know. No. I'm going to write in my will that I am not to be hologrammed," he said. "Roy wouldn't have even known about it," he added. "How would he know?" The Philadelphia Eagles will take on the New England Patriots at the U.S. Bank Stadium on Sunday.